We live in an era of prisons. Correctional officer is quite a typical job nowadays, doesn’t matter how strange it may sound to some of us. I know personally at least ten people who work on different positions in various detention facilities. And I have been detained in a prison in Iran for six months. But that’s another story…. The hiring committee will ask you about different things: your attitude to prisoners, your experience, your physical condition, your teaching methodology, and other things. They will also use psychometric tests – to ensure that you are capable to do the job, and mentally healthy. Taking into account the responsibilities of correctional officers, you definitely need to do a few things in an interview. You must show them that you consider this role to be your personal mission. While your main duty is to guard the detainees, you should also want to help the sentenced to get back on track, once their sentence ends. That’s what you should answer when they ask you why did you apply for this job – and you can bet you will get this question. You need to present yourself as a confident individual, someone who isn’t afraid of anything. To be stressed in an interview is never a good sign. However, it would be a huge mistake in an interview for a correctional officer job. Good candidates for this position need to be confident, and ready to handle difficult situations that may arise in every detention facility. Show respect in an interview. Hiring officers in prisons are accustomed to be respected. In an interview for a correctional officer position, you should show them the respect they are used to feel. How to do it? Try to be nice to everyone, and do not play someone who knows everything, the king of the world. Showing any arrogance would be a huge mistake. It would jeopardize your chances of getting hired. Why should we hire you? (You can list your strengths again, stressing that you meet all job requirements. Or you can talk about your motivation and self belief. One way or another, show some confidence so we can see that you believe in your skills. Can you tell me something about your teaching methodology? Imagine you saw four prisoners beating fifth in the corridor. What action would you take? You can find answers to most of these questions in our viral article 15 most common interview questions, or in the section interview questions in detail. It should help you to prepare for the big day. Always remember to show some confidence, and clear determination to not only guard, but also to help the sentenced to return back to normal life. 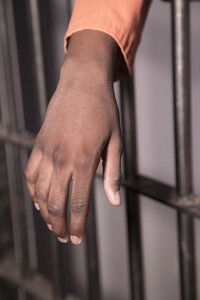 Your motives, and you attitude to prisoners, are the two most important things for the interviewers. We wish you good luck in this tough interview!